^ Hartsock, Ralph (Aug 27, 2014). "The temple of Jerusalem: past, present, and future". Jewish Culture and History. 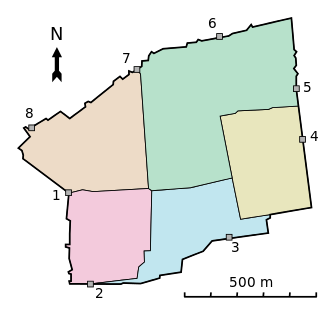 16 (2): 199–201. doi:10.1080/1462169X.2014.953832. ^ Robert Schick (2007). 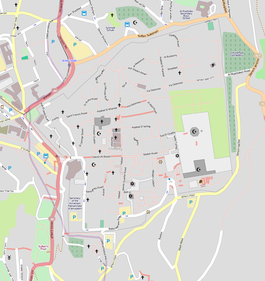 "Byzantine Jerusalem". In Zeidan Kafafi; Robert Schick. 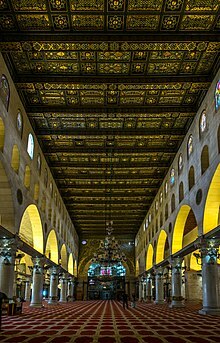 Jerusalem before Islam. Archaeopress. p. 175. 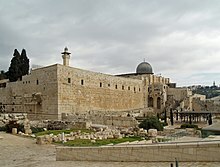 ^ "Second Temple-era mikveh discovered under Al-Aqsa mosque". Israel Hayom. Retrieved June 29, 2012. 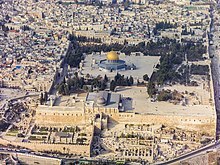 ^ "In honor of Jerusalem Day, MKs get to dig into past". Jerusalem Post. Retrieved December 27, 2012.